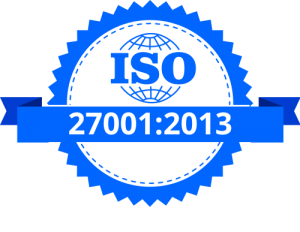 The purpose of ISO/IEC 27001 is to help organizations to establish and maintain an information security management system (ISMS). An ISMS is a set of interrelated elements that organizations use to manage and control information security risks and to protect and preserve the confidentiality, integrity, and availability of information. These elements include all of the policies, procedures, processes, plans, practices, roles, responsibilities, resources, and structures that are used to manage security risks and to protect information. The revised standard has been written using the new high level structure, which is common to all new management systems standards. This will make integration straightforward when implementing more than one management system. Terminology changes have been made and some definitions have been removed or relocated. Risk assessment requirements have been aligned with BS ISO 31000. Management commitment requirements have a focus on “leadership”. Preventive action has been replaced with “actions to address, risks and opportunities”. Controls in Annex A have been modified to reflect changing threats, remove duplication and have a more logical grouping. Specific controls have also been added around cryptography and security in supplier relationships. Provides customers and stakeholders with confidence in how you manage risk. Allows for secure exchange of information. Provide you with a competitive advantage. Manages and minimizes risk exposure. Builds a culture of security. IQMS consists of full-time trainers and consultants having huge international experience and exposure in ISO 27001:2013 ISMS consulting, implementation and training. 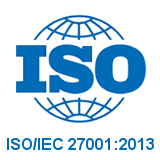 We offer expert consulting services for effective implementation of ISO27001. IQMS consultants can guide you through the process of gaining certification. They will assist with final preparations to your ISMS, and also act on your behalf when organizing the audit progress. Many clients have found our close involvement to be extremely advantageous during this decisive stage of the process.